Last time we had mentioned that Aurobindo shall touch 1238 and then reverse into 4th wave. Actually it went up to 1275 and now has closed at 1109.Looks like 4th wave has begun. 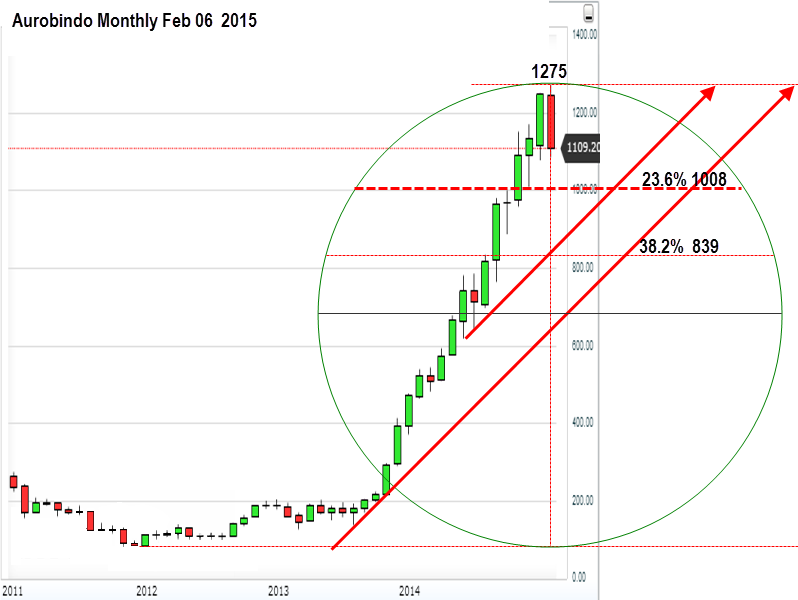 First level should be 23.6 % retracement level of 1008. Since wave 2 was simple, as per alternation theory, wave 4 could be complex and time consuming. 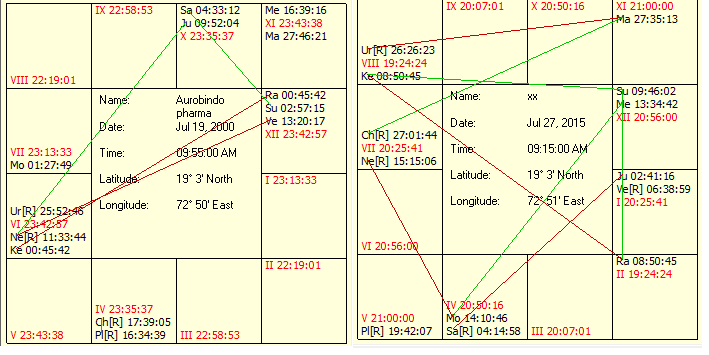 Astro wise, Aurobindo is going through Rahu Dasa Venus antara, upto October 30, 2017. Rahu is currently in Moon star, and Moon is a 12th house significator. By July 14th, Rahu will move into Sun star. By July 28th, 2015, Venus will become retrograde at 06.38 degrees in Leo, in the star of Ketu.Aurobindo may start improving from then on. Currently use every rise to lighten positions. Let us wait for one more bear candle in monthly to confirm long term counts.